You can climb the Mortirolo Pass via two faces: the Valtellina one, from Mazzo, Tovo or Grosio, and the Brescia one, from Monno. 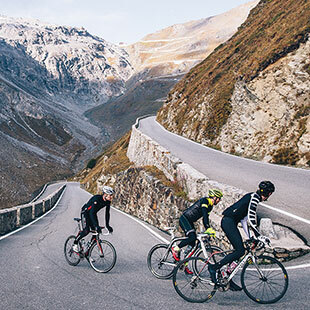 We recommend the one from Mazzo, as it’s the most challenging and is considered by many cyclists to be the toughest climb in Europe. 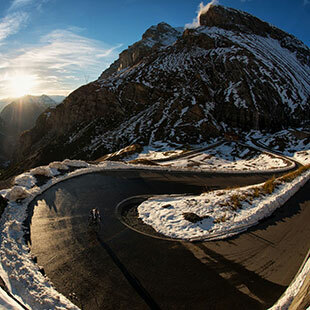 The biggest challenge you’ll face will be against the force of gravity, with just over 1300 metres of elevation gain in about 12 kilometres, and deadly gradients. 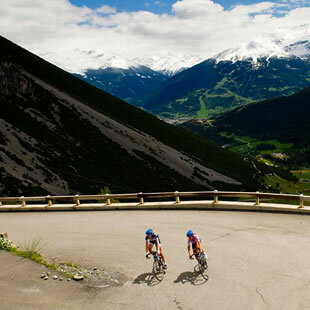 The goal of every cyclist here isn’t so much to reach the summit, but to reach it without setting foot on the ground. Do you think you can manage it?